I have trouble being consistent with studying the Bible. I want to. I plan to. But all too often, I let things get in the way. Honestly, the thing that worked the best and the longest was being in a weekly Bible study with other women. Due to various circumstances, that’s not something I can do at this time, and I miss it. I miss both the accountability and the fellowship. 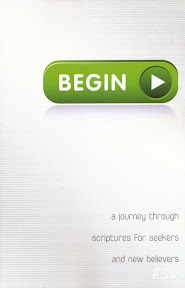 I recently was given the opportunity to review a new devotional by Katie Hornor titled Putting on the Spirit. 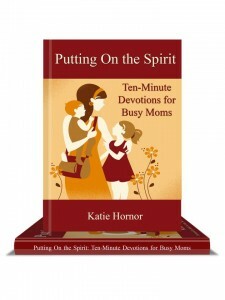 The sub-title is also intriguing: Ten-minute Devotions for Busy Moms. Surely I have 10 minutes, right? When I downloaded my copy of Putting on the Spirit, I expected to find some devotional thoughts on the different fruit of the spirit. Maybe some mom anecdotes. However that is not what I found at all. I would classify this as more of a Bible study than a devotional. 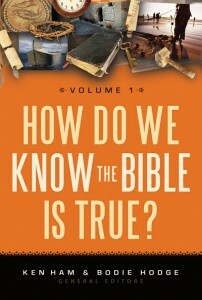 Not a complicated, in-depth Bible study, but still more study, less devotional. Maybe I have a different picture of devotional, but when I think of devotional, I think of something that I read and think about. Hopefully something speaks to me, and I’ll think of it again during the day. But not always. But a devotional is just a short scripture passage and a few thoughts on the passage. 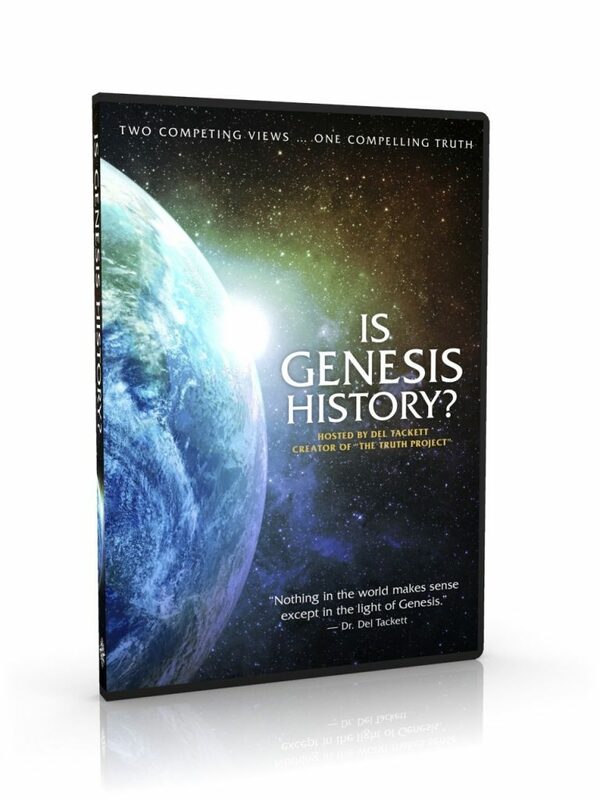 It does not involve looking up other scripture or answering questions. I am impressed with this study. It’s simple, yet deep. It’s short, but meaningful. It’s all of these things because it’s not much of the author’s own thoughts, but instead her guiding you through the Bible for yourself. 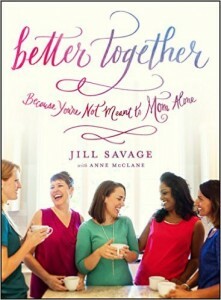 Has this book provided the miraculous end of my struggle with consistency? Well, no. But should I expect any study to do that? No. That comes from being consistent. (I know that seems crazy, but it’s really true. The more time you spend with God in study and prayer, the easier it becomes because then you recognize your need even more.) But it’s a start. This week Putting on the Spirit is only $0.99 on Amazon.com (Kindle version). And today (Tuesday) it’s free! There is also a Spanish version coming soon. I remember a friend of mine trying to explain The Lion, the Witch, and the Wardrobe to me when I was around 9 or 10. At that point, I had never heard of the books, and they really didn’t sound that interesting to me. But several years later, my parents bought them for me to read. (They read them too!) I remember reading the whole series very quickly and enjoying them. But don’t ask me if I understood the symbolism. I was never very good at recognizing symbolism. Millions of readers have been captivated by C. S. Lewis?s famed Chronicles of Narnia, but why? What is it about these seven books that makes them so appealing? For more than half a century, scholars have attempted to find the organizing key?the ?secret code? ?to the beloved series, but it has remained a mystery. Until now. 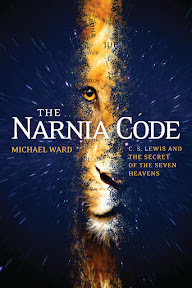 In The Narnia Code, Michael Ward takes the reader through each of the seven Narnia books and reveals how each story embodies and expresses the characteristics of one of the seven planets of medieval cosmology?Jupiter, Mars, Sol, Luna, Mercury, Venus and Saturn?planets which Lewis described as ?spiritual symbols of permanent value.? How does medieval cosmology relate to the Christian underpinnings of the series? How did it impact Lewis?s depiction of Aslan, the Christlike character at the heart of the books? And why did Lewis keep this planetary inspiration a secret? Originally a ground-breaking scholarly work called Planet Narnia, this more accessible adaptation will answer all the questions. I thoroughly enjoyed reading this book. I can’t remember the last time I’ve read through a non-fiction book in 2 days, but I had trouble putting this one down. Michael Ward makes an excellent case for his theory about the underlying theme of the series in an easy-to-read, anecdotal style. The theory is very intriguing. I highly recommend this book to anyone who has read the Chronicles of Narnia and is interested in learning more about them. 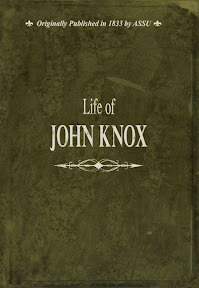 I received a free copy of this book from Tyndale House as a member of the Tyndale Blog Network. When I saw the title of this book, it immediately sounded like something I needed to read. I want to have people over, but something always seems to get in my way. My house isn’t nice enough. You may have used some of the same excuses yourself. In The Reluctant Entertainer, Sandy Coughlin discusses each of these objections and others, showing how these “problems” can be overcome. 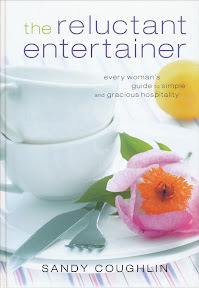 Not only does she give Biblical reasons for showing hospitality, but the book is filled with her personal experiences showing hospitality and being shown hospitality. Also sprinkled throughout the beautiful, hard-cover book, are delicious looking recipes. Although the book is filled beautiful ideas, it is not overwhelming. It encourages perfectionists (like me) to let go of unreasonable expectations and enjoy inviting people into your home. Reading this book, I was both inspired and convicted. Inspired that I could actually have people over, and convicted that I’ve spent so many years rarely opening my home to others. 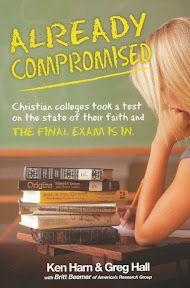 Disclaimer: I was provided with a copy of this book to review from Bethany House. I was not compensated for this review. All thoughts and opinions expressed in this review are my own. This is the 40th book I have read in the 52 books in 52 weeks challenge. I am 4 books behind, but I’m gaining ground.